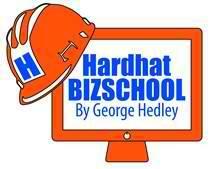 georgehedley | Get Your Business to Work! Want To GROW Your BIZ In Tough Times? Want A Great Management Team? Want Written Goals & Plans? Want To Let Go & GROW? Want To Make More $$$? Stop waiting for the economy to turn around! Let me help you get your business back to work! Day1: Get Your BIZ Back To Work! How To Build A BIZ That Grows & Always Makes A Profit! Most business owners work too many hours for the money they make. They’re too hands-on, stressed-out, out of control, over-worked and under-paid for the energy they put into their companies. They’re stuck, don’t know what to do next and need help! Learn how to take your company to the next level, get organized and in-control, create a dynamic organizational chart and management team, develop operational systems, design a working marketing plan, develop streams of steady income, build equity, create wealth, and get your business to work for you. George Hedley, professional business coach, author of the bestseller: “Get Your Business To Work!” and a “Entrepreneur of the Year” award winner will share how to implement his proven step by step system. You can get the results you want without your full-time hands-on, make-every-decision supervision by making sound decisions so you can enjoy the benefits of a growing company. 1. Create a written business plan with targets and goals for growth, people, sales, systems, and profit. 2. Build a business that works, replace yourself with operational systems and build your company to meet your goals. 3. Develop written BIZ-Systems to always make a profit, market and sell, find and keep great people, get organized & in-control. 4. Create an organization and team that allows the owner to let go of control and focus on priorities that make a difference in the bottom-line. Day 2: Grow Your BIZ! Find New Customers, Win More Contracts & Stop Selling Low Price! Being low bidder won’t win enough profitable work today! To develop a successful BIZDevelopment action plan to grow your BIZ, generate more sales and win more construction contracts, you’ve got to give customers better reasons to award your company work. Learn how to improve your estimating and bidding strategy, set your company apart from the competition, differentiate, build loyal customer relationships, seek better opportunities, get on the right bid lists, find more viable leads, convert proposals into contracts, improve your professional presentations, develop an effective bid follow-up system, and track your bid-hit ratio. You’ll leave with a winning marketing & estimating template and calendar to build loyal customer relationships, negotiate more work, offer more than low price, and get in front of decision makers to win more work. 1. Implement a winning BIZ-Development, marketing, sales, proposal, estimating and bidding strategy to win more profitable customers and contracts. 2. Develop an action plan, template and calendar to find new customers, markets, projects,and value-added services to win more work. 3. Get in front of decision makers, negotiate to win, present professional presentations, and follow-up to win more negotiated work. 4. 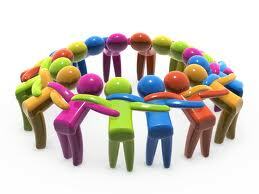 Build loyal customer relationships, set your company apart from the competition & offer more than low price. 5. Add more services to generate ongoing steady work. Hire the Right Players Now! 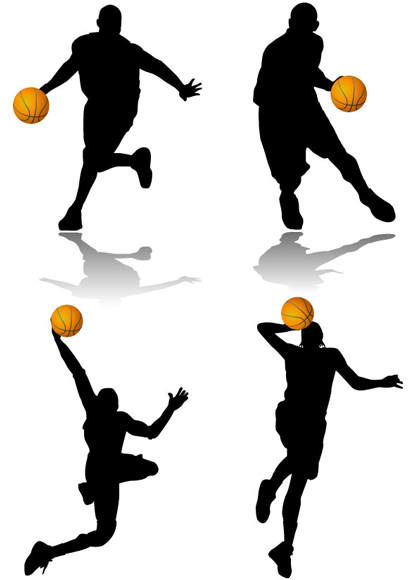 If you were the owner of a NBA basketball team, one of your top goals would be to have the best players on your team. With only five players on the court at any one time, every one of them is critical to winning. If you don’t do a good job hiring the right players, your team won’t win many games. And eventually the fans will stop coming out and spending their money on tickets. In other words, the success of your winning team is to have the right players on the floor at all times. Business owners tell me they can’t find any good help. But how much time do they actually spend finding the right players? What you get is a direct result of your priorities. When you don’t take enough time to find, cultivate, and train new players, how do you expect to grow a winning team? Professional sports teams have a full time executive in charge of player personnel – finding the right players, managing their contracts, and keeping them happy. But most small companies don’t spend more than a few hours a year making sure their roster is balanced, robust, and excellent. Before the annual draft, every professional sports coaching staff makes a list of all the positions and their current players to analyze what they need to change or add to improve. In your company, the draft is now. To get started, make a list of all of your company positions, the talents required at each job, the player currently assigned each position, and then rank how well you think they are doing. Do-Over #2: Diversify, Market & Serve Customers Sooner Than Later! When business is steady with lots of bidding opportunities coming your way, it’s easy to keep busy working for a limited number of customers doing the same type of projects. This business model works during a good economy. Once you establish a few repeat customers, they continue to feed you work to bid on. You don’t have to go out and find new customers. You don’t have to market or sell. You don’t need an updated brochure or impressive website. And you don’t have to have a customer service or follow-up program. Work is easy to get: wait for the phone to ring, pick up a set of plans, and go bid the job. If you bid enough, you’ll get your share. In sports, the coach gets to start over every season. Winning coaches look at their past records and make positive decisions of what they need to drastically change and achieve better results. If they continue to play the game the same as they did last several seasons, they won’t continue to build and win. They have to look at how they play the game, players, coaches, methods, offense and defense, training, strategy, and tactics. Now imagine it’s your turn to start a new season. You are the coach of your business and want to keep your job and make a lot of money for the owners. What should you do differently to win the game of business? What tough decisions should you make? What new plays will you call? What players should you replace? Where should you play the game and how? 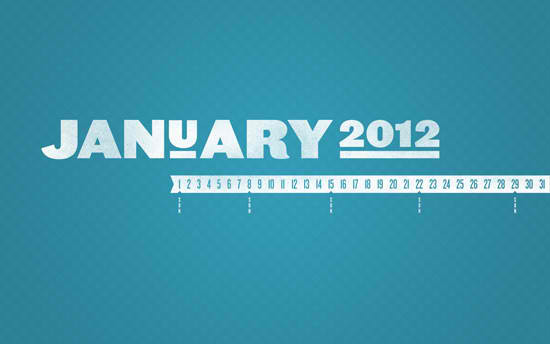 Will you keep doing what you’ve always done or decide to do whatever it takes to grow your business and make a profit? Below is the list of the top “Do-Overs” I hear from the many business owners I have surveyed. 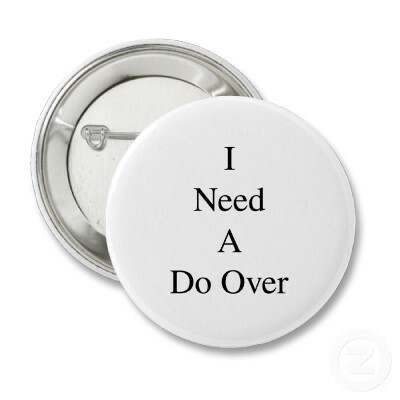 Do-Over # 1: Invest Sooner Than Later! 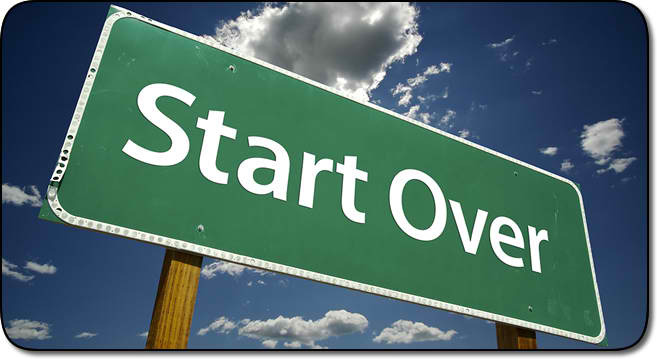 If You Could Start Over, What Would You Do Different? What Is Your Bidding Strategy? After you have established reasons why customers should hire your company, now it’s time to find jobs to bid where you can be successful. Your overall estimating and bidding strategy is to get enough signed contracts at your price to cover your job costs, overhead, and then make a profit. This requires several winning plans. 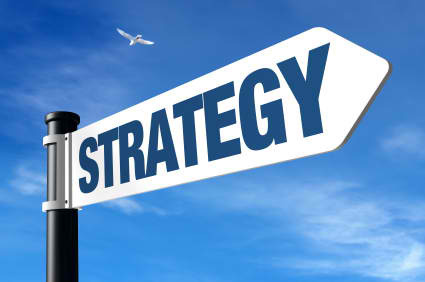 The first strategy is to have a strategy! Many contractors bid any job they are offered to bid. They don’t have a strategy that helps them decide which jobs to bid and when to say no. What’s your estimating and bidding strategy? Before agreeing to bid a project, create a list of questions to determine if you will have an excellent chance to win the contract. 1. Do you want to negotiate the project? – How will you convince the customer to negotiate with you? 2. Do you want to be the select or only bidder? – How will you implement this strategy? 3. Do you want to get the last look? – How will you make this happen? 4. Do you know your bid-success ratio against your competitors? – How do you keep track of your success versus competitors? 5. Do you have competitors you don’t want to compete against? – How will you discover this information? 6. Do you have some competitors you will bid against? – How will insure the bid list gives you a chance to be awarded a contract? 7. Do you have an ideal number of bidders you’ll bid against? – How will you insure this happens? 8. Do you have a maximum number of bidders you’ll bid against? Can customers really tell the difference between your company’s bid proposal and your competitors? If all else is equal, the only differentiating factor between your company and your competitors is the lowest price. What do you do to stand out from the crowd? To set yourself apart and charge a higher price, you must be different than your competitor. Differentiation can include doing more than your competitor for the same price, being the expert or specialist in a particular type of work or project, adding more value than required, or having a deep loyal trusted customer relationship. Give customers a reason to hire you! The best way to win a contract is to have a relationship with your customer that goes beyond doing past projects for them. It is based on trust and friendship developed over time. It is built by spending lots of time together having fun fishing, golfing, or doing other activities together not related to work. If you don’t have this kind of loyal customer relationship, you have no other choice but to differentiate your company from competitors. Low price is one way and creating and offering real differences is another. Before you bid the next project, ask yourself why the customer should hire your company for this project. Are you better or faster? Do you have more qualified trained people who know how to perform this type of work? Can you help your customer make more money? As you create a list of reasons the customer should hire your company for the project, think about what you offer that no other competitor offers. 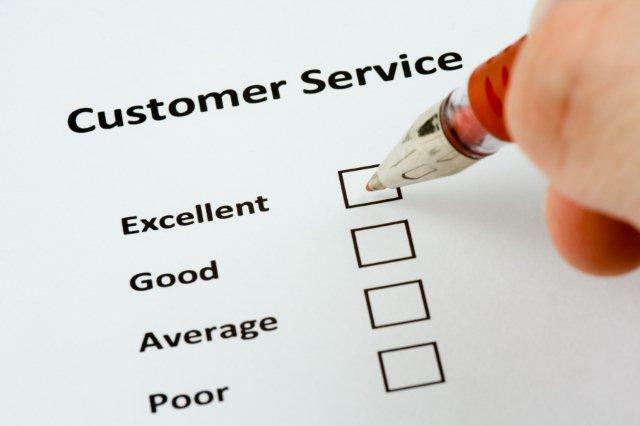 Think about what else you can do for the customer that is not required by the scope of work. Think about how you can help your customer meet their goals, make more money, increase sales, grow their business, build a better project, reduce risk, or have more fun while working with your company. I know what you are thinking: ‘We don’t get paid for all those extra things!’ If you want to win jobs today, you must do more than the minimum. After you create a list of three to five reasons why you are the best choice for your customer to award this contract, what will you do to prove your company is the best choice? In your proposal you can include a list of past projects where you beat the schedule and delivered results that made the customer excited about your company (this is more than the standard reference list). Include pictures of completed projects similar to the one you are bidding on. Include a draft schedule showing how you can help your customer complete the project ten to twenty percent faster than a normal contractor can. Schedule a field trip with your potential customer to other jobsites where you can show them how you solved difficult problems. 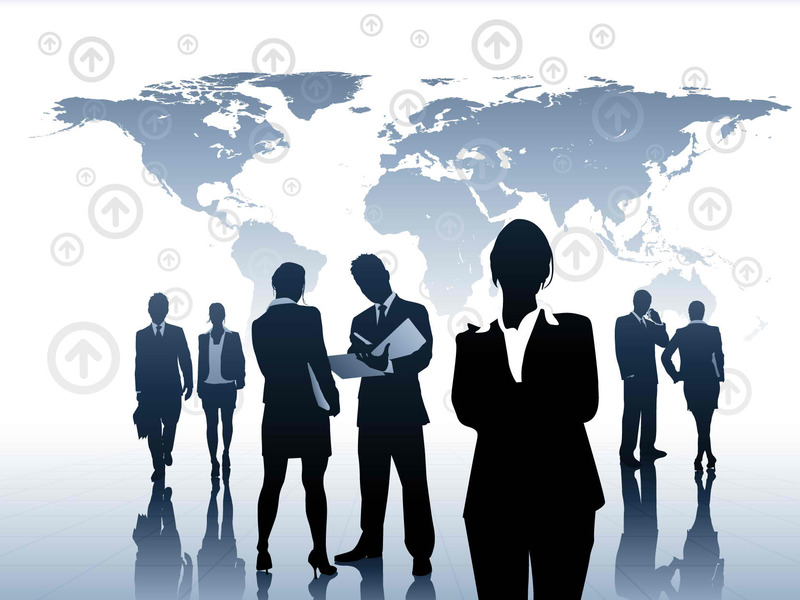 Give them a list of added services your company will provide if awarded the job. Offer a guarantee such as completion date, punch-list completion, quality, or added warranty they will not get with another competitor. In public works construction, the low bidder usually gets the job and there is little or no room for sales strategy or tactics. The best way to be the low bidder and awarded a contract is to have the lowest possible costs and the most efficient construction management and field operation possible. To keep your costs lower than your competitors, your field crews must be lean, productive, and well trained. There must be no downtime, job problems, quality issues, coordination conflicts, or mistakes. Your subcontractors and suppliers must also be supervised and managed tight without gaps in scheduling, productivity, conflicts, or quality. This can only be accomplished with diligent leadership, accountable management, and ongoing training focused on productivity and efficiency. Now you are in the sales business!